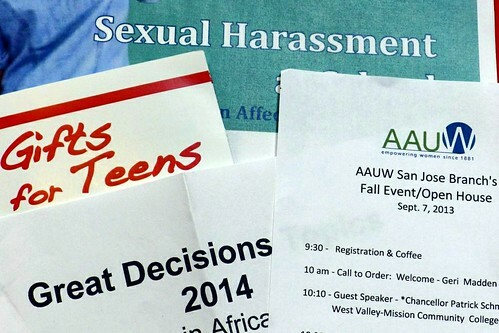 This weekend, I became a member of the San Jose branch of the American Association of University Women – AAUW. 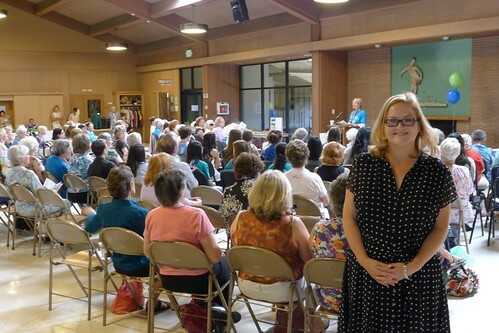 I was honored to give a presentation about mentoring at the national AAUW meeting in New Orleans in June and have continued to be impressed by the effective and interesting work of this venerable organization. Newly-elected Santa Clara County Supervisor Cindy Chavez joined the San Jose branch the same day I did – that’s her photo above. I am also a member of the California On-line AAUW branch. Patrick Schmitt (Chancellor at the West Valley-Mission Community College District) gave a excellent talk about the future of higher education. He predicted that in 30 years, the higher education model will be “bespoke” – customized and driven by student success and student-focused measures. This reminded me of the future presented in Neal Stephenson’s remarkable novel Diamond Age. 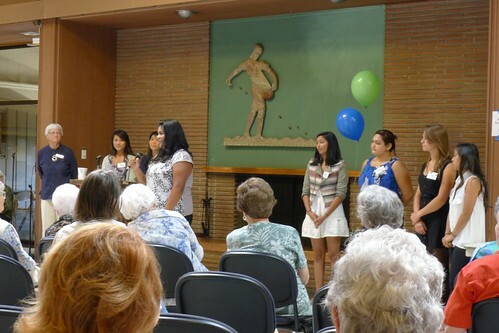 AAUW San Jose also awarded tech-camp and college scholarships to over a dozen young women at the meeting. You have caught the essence of the day and our organization!